Most fitness facility managers have begun to move beyond simply wanting ways to better monitor their fitness equipment — many clubs and recreation centers are looking to set themselves up for the future. Operators are asking questions about how they can further engage their clientele through content and on-demand workouts, and how they can integrate their equipment and member-management systems. Today’s high-end connected cardio equipment addresses a range of needs, from tracking the minutia of workouts to addressing operational pain points. 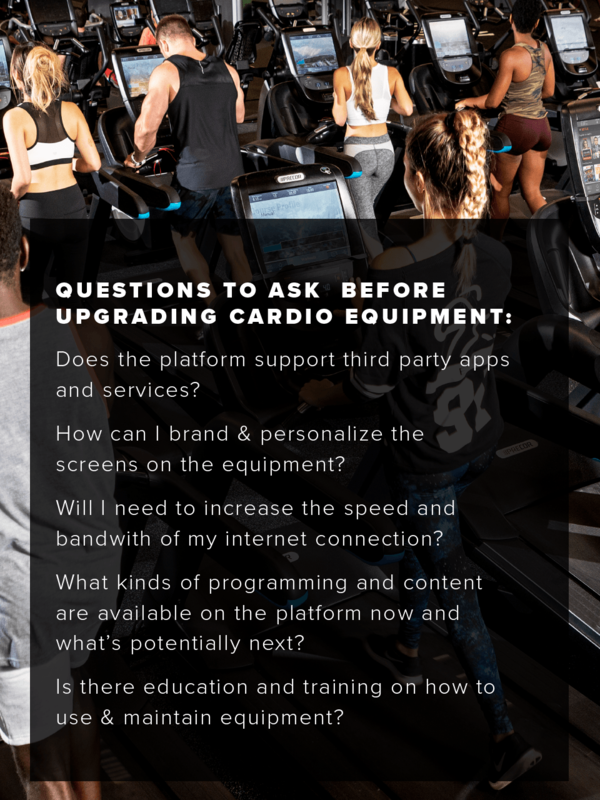 Here are a few reasons why an investment in cardio equipment upgrades might just be the key to boost business, satisfy clients, and ease the challenges of day-to-day operations. When every piece of cardio is controlled through a touchscreen console, exercisers become a captive audience of sorts — this is a great opportunity for operators to personalize the client experience and differentiate themselves from competitors. Achieving a customized experience works by combining a number of unique features on networked cardio units. For instance, operators can message a user directly on a networked console about anything from new programming to holiday hours. Personal trainers can review workouts and check in with feedback. Connected software also provides the infrastructure for some additional benefits, such as personal profiles that allow individuals to immediately log into and access all of their favorite entertainment apps - Netflix, Hulu, YouTube, ESPN, and more. It’s no secret that cardio can be repetitive — running or cycling in place for an hour is hard work. State-of-the-art equipment is aimed at keeping end-users committed, which is not limited to offering access to Netflix and other streaming services. Precor’s RunTV features stunning video content and synched control of the cardio lower for interactive runs, rides, and climbs through some of the world’s most iconic locations. The screen on the treadmill or elliptical is a dynamic tool capable of ensuring that individuals not only stay engaged in their workouts, but in the club or rec center as well. In the past, a user might have run for an hour on the treadmill with no real idea how that particular run compared to their last session . 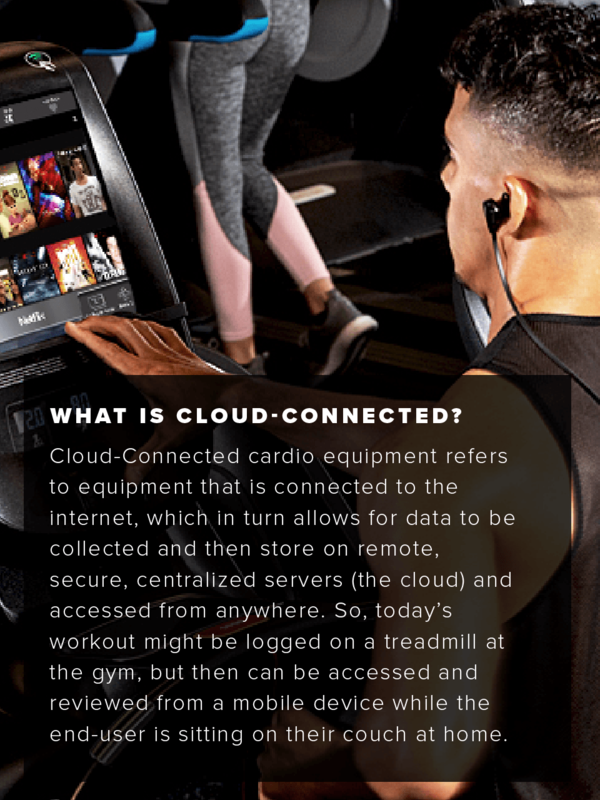 With today’s cloud-based platforms, every workout can be captured and stored in the exerciser’s profile, allowing them to access that data on-demand and helping them improve session-to-session. A robust central processing unit and a connection to the internet are also integral to addressing one of the primary pain points for operators — maintenance. Preventative (or predictive) maintenance means the equipment itself has the built-in smarts to identify potential problems and automatically alert technicians that something is about to require service or attention. It’s worth noting that a robust connection to the internet is crucial when it comes to powering this kind of equipment and features. Our team always surveys the specifics of a facility’s networking capacity and determines how to optimize infrastructure to ensure clients have a great experience using networked cardio machines. One of the advantages of having computers embedded into a piece of cardio equipment is that new features and technology can be added via software updates. When shopping around, it is worth asking about the technology road map and how they are planning for the digital future. All this new technology adds up to a greater amount of choice for operators, and the number of powerful features can be overwhelming at first. The key to making the right choice for your facility lies in determining what you want your exercisers to experience, and you can plan to lean on our team of specialized experts to help guide you through the process. Interested in including networked fitness in your cardio lineup? 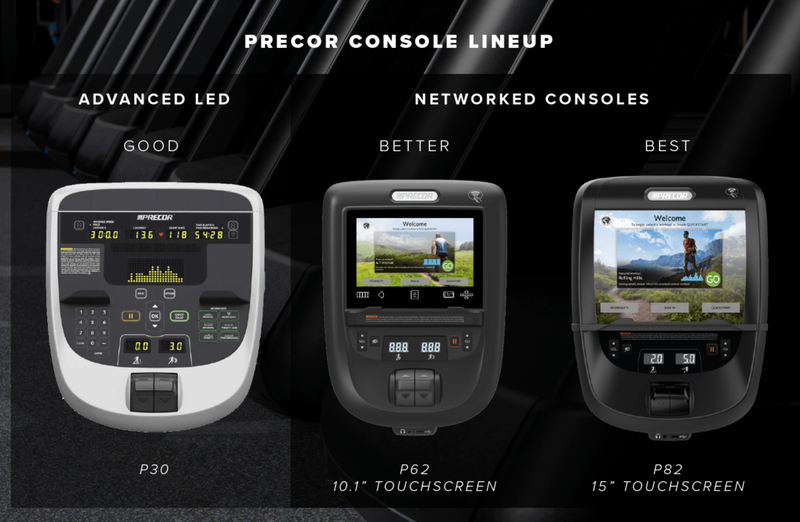 Check out Precor’s product and Mix-and-Match console lineup.